This is a day in which sadness and joy mix. 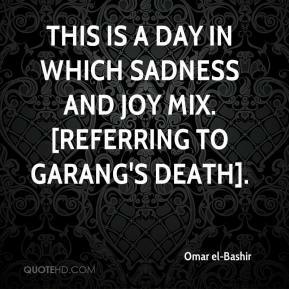 [Referring to Garang's death]. 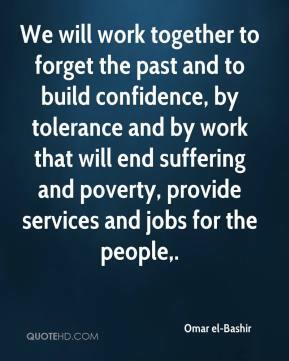 We will work together to forget the past and to build confidence, by tolerance and by work that will end suffering and poverty, provide services and jobs for the people. 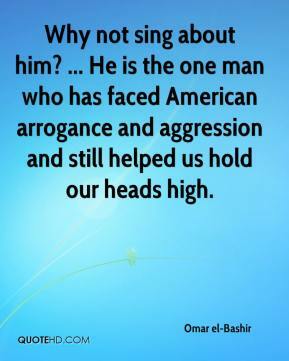 Why not sing about him? ... He is the one man who has faced American arrogance and aggression and still helped us hold our heads high.